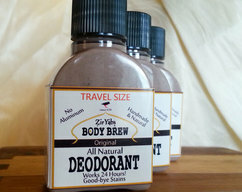 This Unscented Lotion Deodorant is our newest deodorant product. 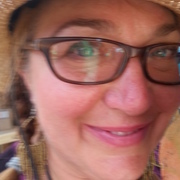 It is the same as our Original formula, but without any added Essential Oils or Fragrances for scenting, and therefore with less reasons to cause allergic reactions in some people. That is not to say that is has no scent. It has a slightly earthy aroma, mostly from the Clay. You could also use this for your own preferred scent by adding your own selected essential oil(s). If you choose to do this we do not recommend more than 1.5% added oil. For this 6 oz bottle, that would be no more than 44 total drops of added oil (about 1/10 of an ounce). 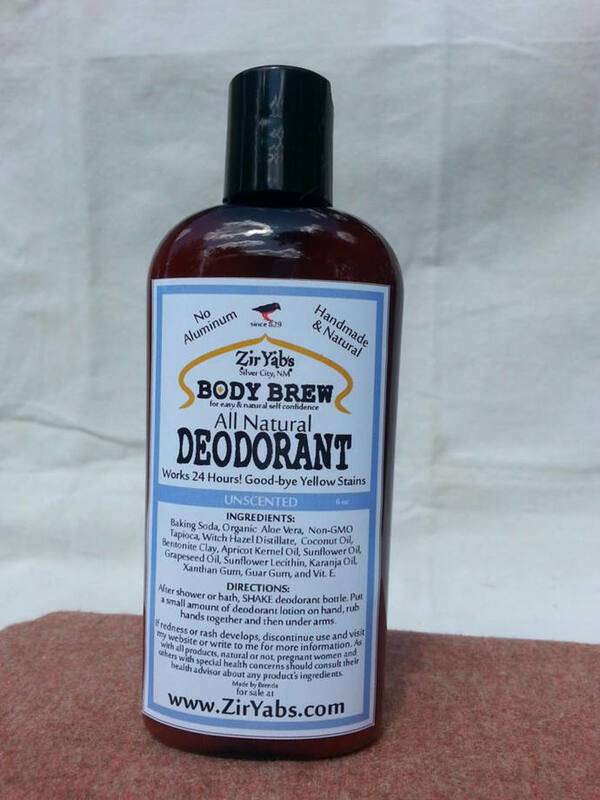 CHRIS SAYS "The best antiperspirant and deodorant ever! I haven't been able to find any natural deodorant that works and doesn't make me glands swell up, this is so much better than antiperspirant. My wife keeps smelling my pits and saying 'Yup, still working!' Thank you!!!" This bottle holds 6 oz of deodorant. 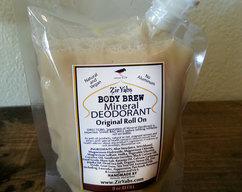 You'll find that my natural deodorant feels good on hands, dries quickly and doesn't require you to wash your hands afterwards either since it is a mild antibacterial and moisturizer. However, wiping it off on another part of your body or on a towel works too and doesn't dirty the towel either. Not only that, the deodorant is good for hands in that it contains coconut oil and either hemp and avocado oils (original scent) or apricot and grapeseed oils(lavender & rose scent. This 6 ounce squeeze bottle. My customers confirm that one bottle lasts a long time. I'm glad but worried if my business can survive if my clients only need a bottle from me every 2 to 4 months. So, you can help, if it turns out you love my product as much as other people, help me (and others) by spreading the word. Tell friends and family, give me a review, favorite me, whatever. 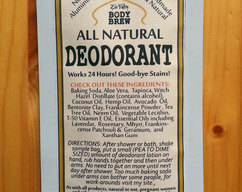 Some Baking Soda Deodorants make people rash, often simply because they are using too much, a little goes a long way. 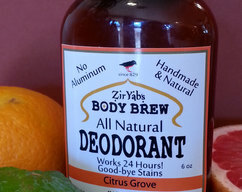 If you are interested in learning more about deodorants, please visit my website at www.ZirYabs.com.